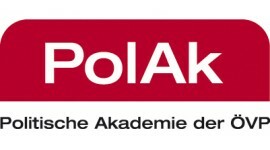 The Political Academy is an institution of political education and research. It applies itself to political and strategic research and project work. Training and the further education of trainers as well as coaching are as much a part of the activities of the Political Academy as is the extensive supply of information, which it offers concerning current political events. In addition to this, the Academy also provides for the training and further education of political representatives, MPs, functionaries and party workers. The Political Academy is committed to fulfilling the role of a meeting place and discourse medium for both national and international experts and representatives from various fields of policy-making, politics, science and research and diplomacy. A dense programme of activities such as panel discussions, work shops, conferences and public lectures as well as regular publications is aimed at informing and involving the public.